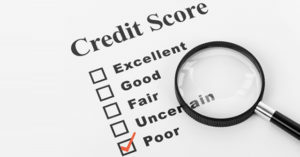 How can I get a mortgage with a poor credit rating? This is a question we get quite often, here is some detail on what can be done for those people needing a Poor Credit Score Mortgage. A poor credit rating can be a barrier to getting a mortgage, but the good news is there are lenders who specialise in this market, and are prepared to offer mortgages which are specifically designed for those whose credit history is not perfect. There are 2 types of client. Firstly, If you have had a one-off issue such as job loss, health issues or similar then we have lenders that will look at the overall case history not just decline a mortgage because of something atypical that went wrong. Secondly people who have had a period of time where they had a number of on going credit issues and although now historic these are not down to a single occurrence. 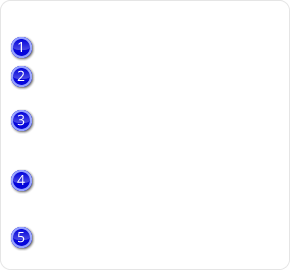 For these there are lenders that have specific ranges of mortgages for clients in this situation. They are very similar to a standard mortgage, insofar as you borrow a certain amount and then make monthly repayments over a set term. As you would expect, interest rates are higher but the good news is some lenders only require a deposit of 15% of the property value to qualify for the mortgage. People who have had recent mortgage arrears, defaults or CCJs can still qualify for this type of loan. If you are currently in debt management or an IVA/Trust Deed we also have lenders that will look at a mortgage or secured loan to help clear these, if that is the right solution for you. How can I use a mortgage to improve your credit score? Call us, because in many scenarios – including those above, getting a mortgage can help you back onto the road to recovery. If you borrow more than you need to purchase a property or repay your old mortgage and use the rest to pay off your outstanding debts you will be free of your bad debt history within 6 years. When applying for any mortgage, especially a subprime mortgage, it is vital to discuss all the options and compare as many deals as possible to ensure you find the right mortgage to suit your situation, that’s where we can help. As whole of market mortgage advisers we have access to all the products from all lenders, including those that specialise in adverse credit mortgages. Call us today for a free and friendly chat to discuss your situation and what options are available to you. 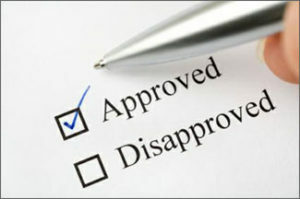 Get a Poor Credit Score Mortgage with help from the experts.